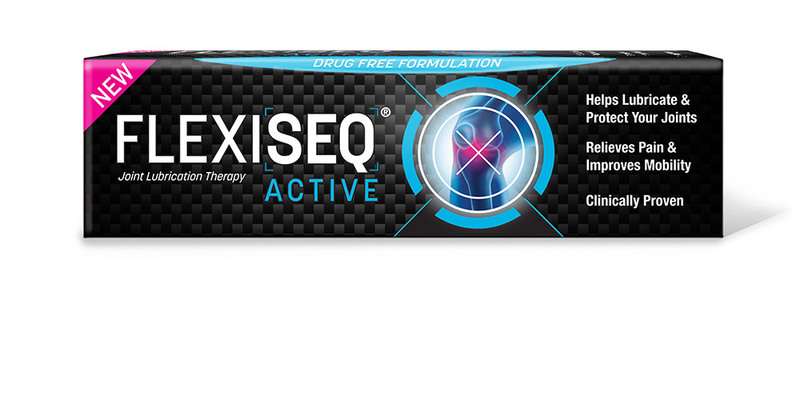 Minimum quantity for "Flexiseq Active 50g" is 1. Maximum quantity for "Flexiseq Active 50g" is 100. Cura-heat arthritis pain. Air activated heat pad for targeted relief Continuous warming relief for the knee. Up to 8 hour relief. Contains 4 heat packs and one wrap. 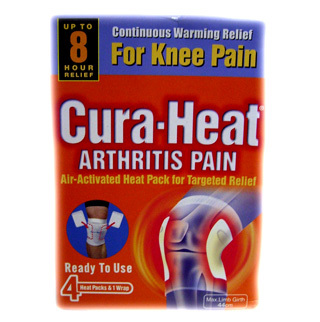 Minimum quantity for "Cura-Heat Arthritis Pain (Knee) - 4 pack" is 0. Maximum quantity for "Cura-Heat Arthritis Pain (Knee) - 4 pack" is 0. Voltarol Pain-eze Emulgel Penetrating pain and inflammation relief for rheumatic, joint and muscular sprains, strains and bruises. Minimum quantity for "Voltarol Pain-eze Emulgel - 30g Gel" is 0. 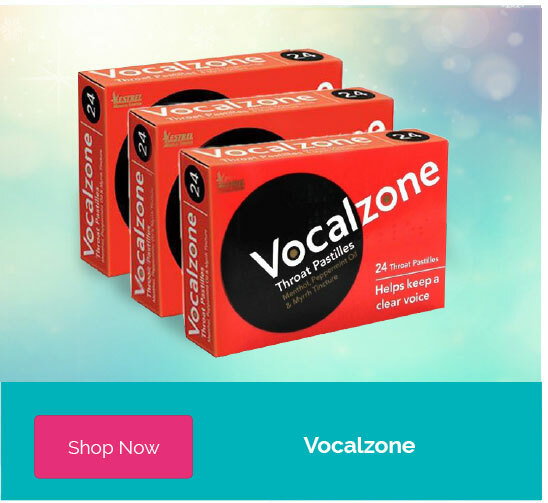 Maximum quantity for "Voltarol Pain-eze Emulgel - 30g Gel" is 0. 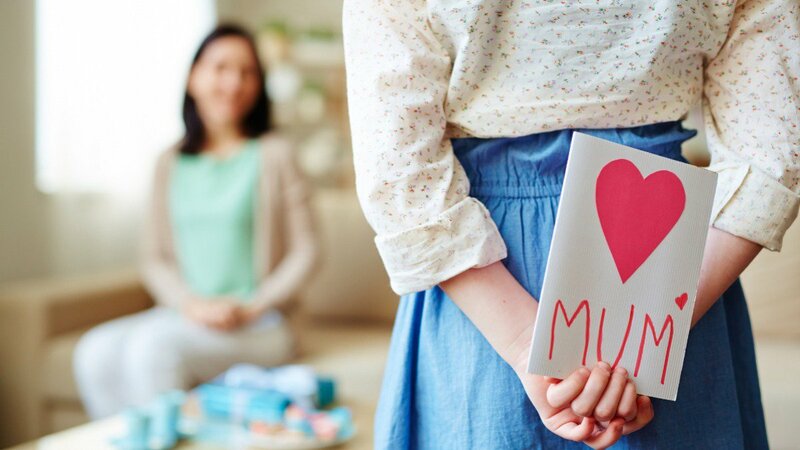 Glucosamine & Chondroitin could provide nutritional support to the joints and connective tissues. 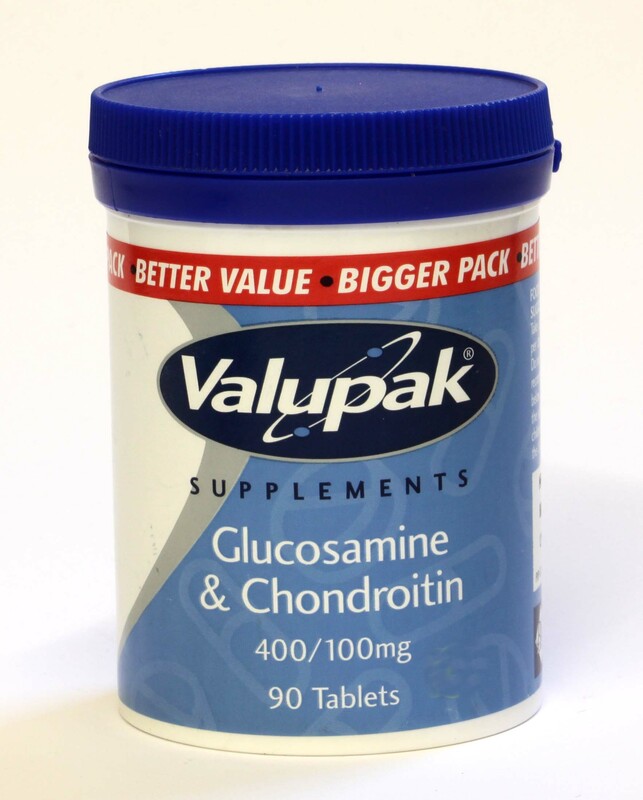 Minimum quantity for "Valupak Glucosamine & Chondroitin - 90 Tablets" is 0. Maximum quantity for "Valupak Glucosamine & Chondroitin - 90 Tablets" is 0. 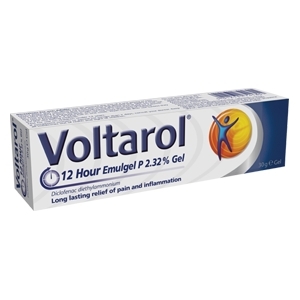 Voltarol® 12 Hour Emulgel® P 2.32% Gel for long lasting relief of pain and inflammation. For relief of rheumatic pain, joint and muscular sprains, strains and bruises. Its cooling formula is non-greasy and non-staining. Minimum quantity for "Voltarol 12 Hour Emulgel P 2.32% Gel 30g" is 0. Maximum quantity for "Voltarol 12 Hour Emulgel P 2.32% Gel 30g" is 0. 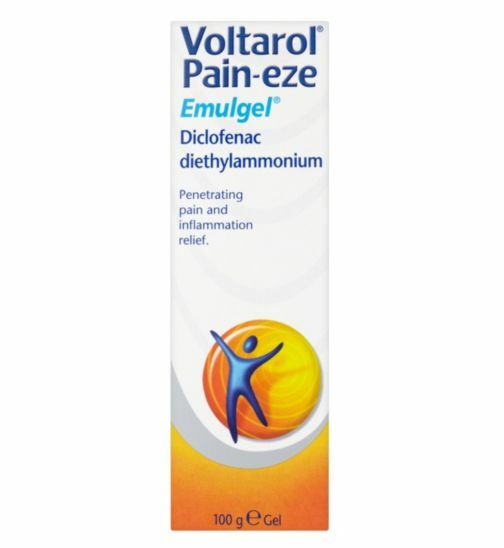 Minimum quantity for "Voltarol Pain-eze Emulgel 50g" is 0. Maximum quantity for "Voltarol Pain-eze Emulgel 50g" is 0. Minimum quantity for "Turmeric 500mg - 30 Vegetarian Caplets" is 0. 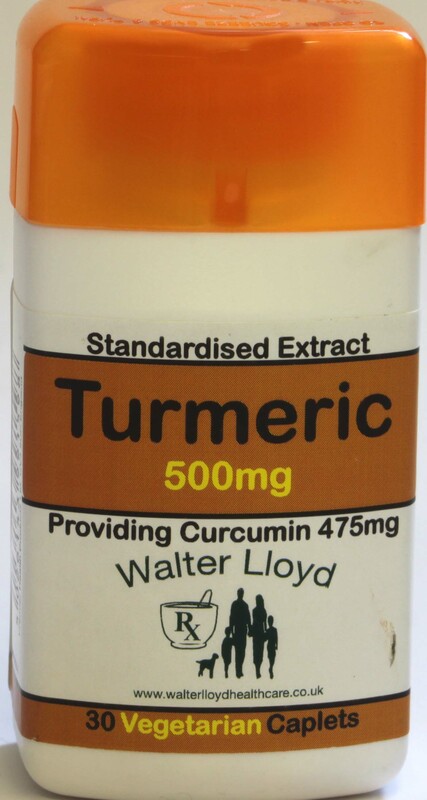 Maximum quantity for "Turmeric 500mg - 30 Vegetarian Caplets" is 0. Minimum quantity for "Voltarol 12 Hour Emulgel P 2.32% Gel 50g" is 0. Maximum quantity for "Voltarol 12 Hour Emulgel P 2.32% Gel 50g" is 0. 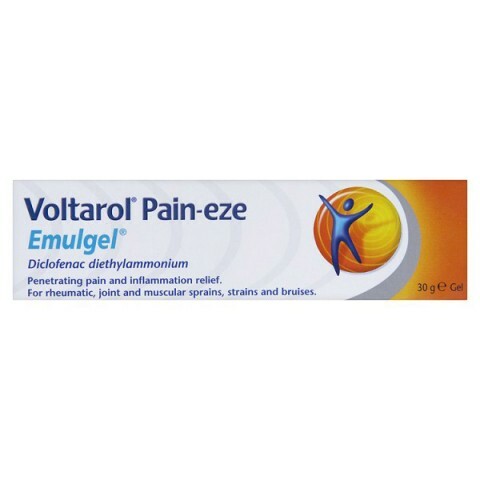 Voltarol Pain-eze Emulgel penetrating pain and inflammation relief. For rheumatic, joint and muscular sprains, strains and bruises. 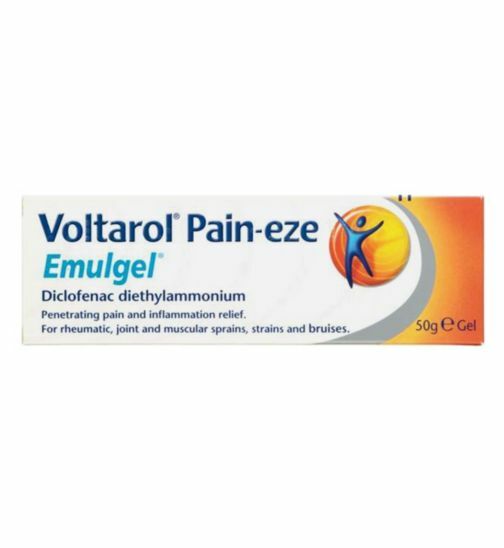 Minimum quantity for "Voltarol Pain-eze Emulgel 100g" is 0. Maximum quantity for "Voltarol Pain-eze Emulgel 100g" is 0. 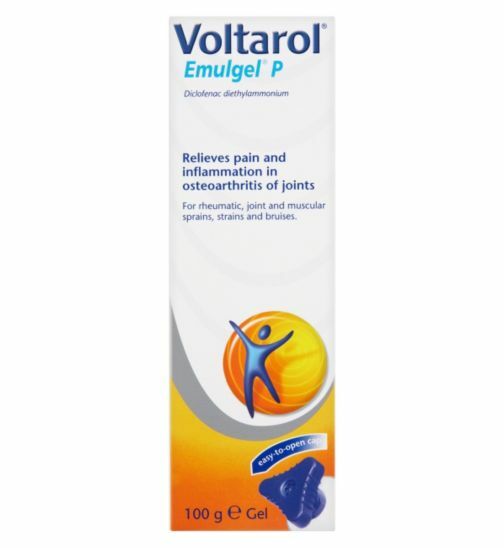 Voltarol Emulgel P relieves pain and inflammation in osteoarthritis of joints. Minimum quantity for "Voltarol Emulgel P 100g" is 0. 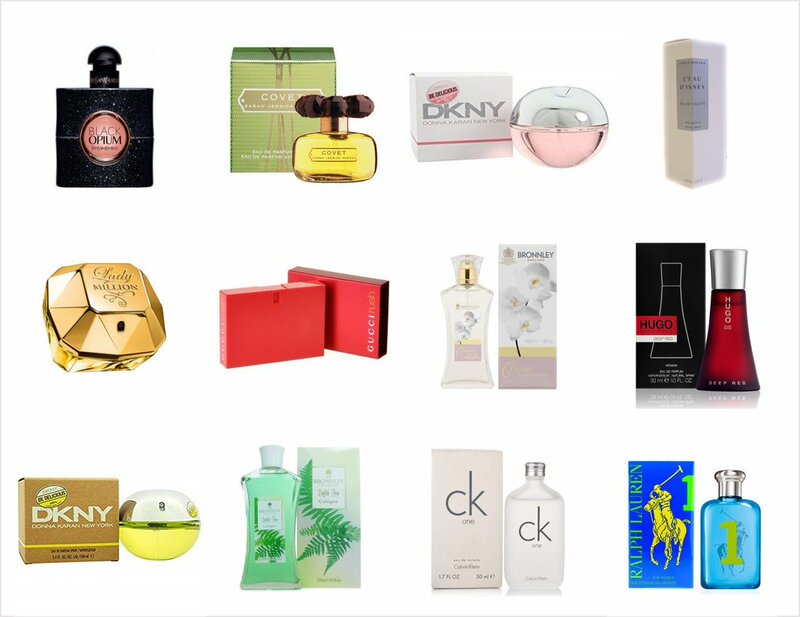 Maximum quantity for "Voltarol Emulgel P 100g" is 0. Minimum quantity for "Flexiseq - 50g" is 0. 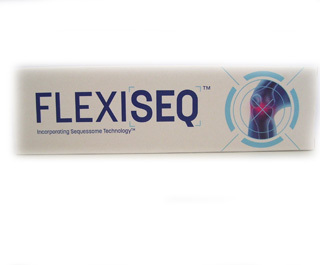 Maximum quantity for "Flexiseq - 50g" is 0.